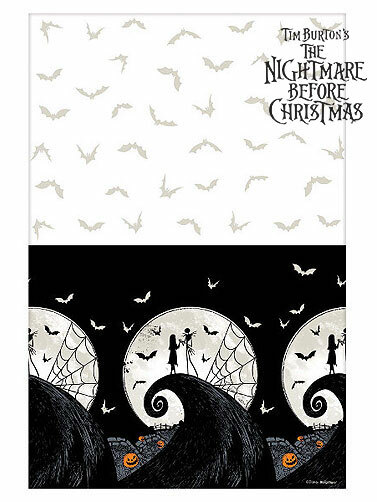 Celebrate Halloween everyday with this festive Nightmare Before Christmas plastic table cover. Table cover features Jack and Sally in an all over print with a black, white and purple color scheme. Nightmare Before Christmas Plastic Table Cover measures 54" x 96". Jack Skellington™ and ©Tim Burton's Nightmare Before Christmas are copyrights of Disney. All rights reserved.